Member since February 23 2012. 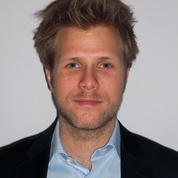 Felix Lüth is a law student at the Humboldt University of Berlin in his final year, specializing in Public International Law and European Law, and a research assistant at the Berlin office of the law firm WEITNAUER. In 2009/2010 he obtained a ‘Certificat de Droit Transnational (CDT)’ from the University of Geneva and the Graduate Institute of International and Development Studies (IHEID).